Health & BeautyOlimp Koenzym Q10 - 30 kaps. 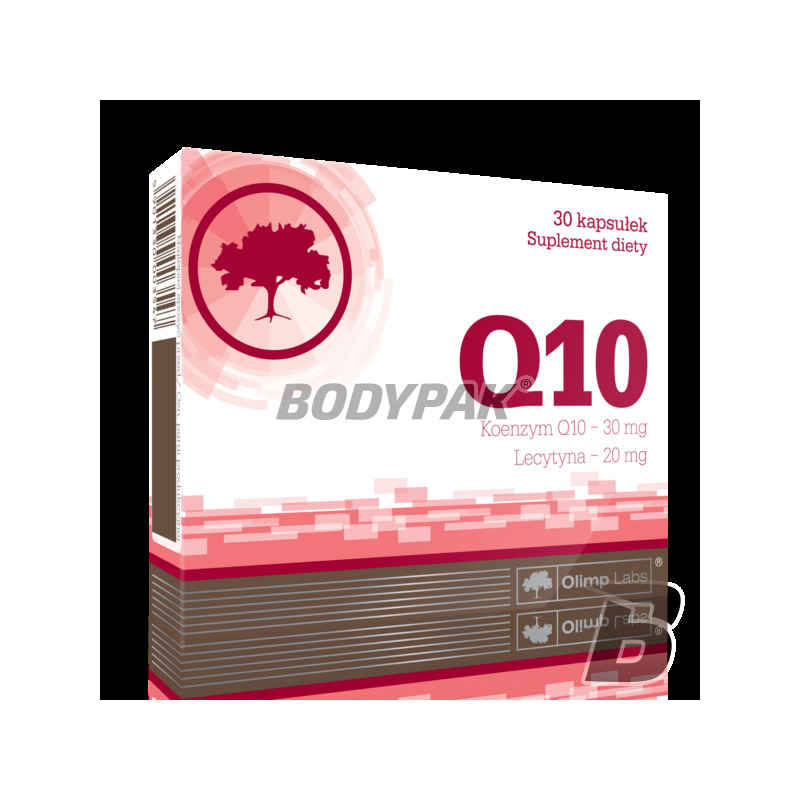 Coenzyme Q10 is a natural substance physiologically active character vitamins. It is part of the mitochondrial respiratory chain - the most important metabolic pathway that processes the energy stored in food ingredients, used by the body to useful energy. Coenzyme Q10 is a component of the respiratory chain in short supply - the so-called. "Bottleneck reaction", which means that the level limits the possibility of utilizing the energy in the body of nutrients. Functional deficiency of coenzyme Q10 is caused by the fact that the substance, the only one in the respiratory chain, fulfills two functions simultaneously metabolic - "catcher" reducing equivalents (electrons and excited electrochemical hydrogen atoms) and "scavenger" of free radicals (excited electrochemically atoms and oxygen compounds ). The unique role of coenzyme Q10 is so that, on the one hand, facilitates the acquisition of useful energy, on the other hand, protects the body from the adverse effects of energy transformations. Due to the nature of the deficit, as a result of the continuing process of aging, irrational diet, unhygienic lifestyle and increased physical activity, there are often chronic hidden deficiency of coenzyme Q10, which, in the first place, reveal the dysfunctions body structures with a high demand for energy and the exposure of the oxidation - the heart, blood, blood vessels, mucous membranes, immune cells and mitochondria. OLIMP Coenzyme Q10 is recommended for people at risk of atherosclerosis and cardiovascular diseases - particularly obese, with a tendency to gain weight and tobacco smokers, the elderly, professionally active and recreational athletes and sportsmen. - supporting sports exercise - 1 capsule 2-3 times a day after meals for at least 6-8 weeks, depending on exercise intensity and mode of preparation of sports. - protecting mitochondria, improving and intensifying the burning of energy substrates, mainly fatty acids, coenzyme Q10 facilitates the reduction of reserve fat - weight loss. Składniki: koenzym Q10, lecytyna sojowa, celuloza mikrokrystaliczna, celuloza sproszkowana - substancje wypełniające, stearynian magnezu – substancja przeciwzbrylająca, kapsułka (żelatyna – składnik otoczki, barwnik: E171). Co tu dużo pisać - koenzym w połączeniu z lecytyną w odpowiedniej dawce, bardzo dobrze przyswajalny. Nie potrzebuje niczego innego - ten zdecydowanie wystarcza. If you were ill passed antibiotics should think about buying just the probiotic preparation, which composition is rich in probiotic bacteria and prebiotic. Use of a capsule characterized by increased resistance to the low pH found in the stomach!